Belper School and Sixth Form Centre has a strong and thriving Drama Faculty. Facilities are excellent with a variety of well equipped teaching, rehearsal and performance spaces available within school. All Key Stage 3 students have 2 Drama lessons a fortnight. Students are taught in their mixed ability tutor groups. These lessons are active and practical and take place in one of our dedicated Drama spaces. Each half term students will be required to undertake a homework activity, which could include rehearsals. Our aims are outlined below. 7. give opportunities to experience the work of practitioners and performers through theatre visits, workshops, etc. 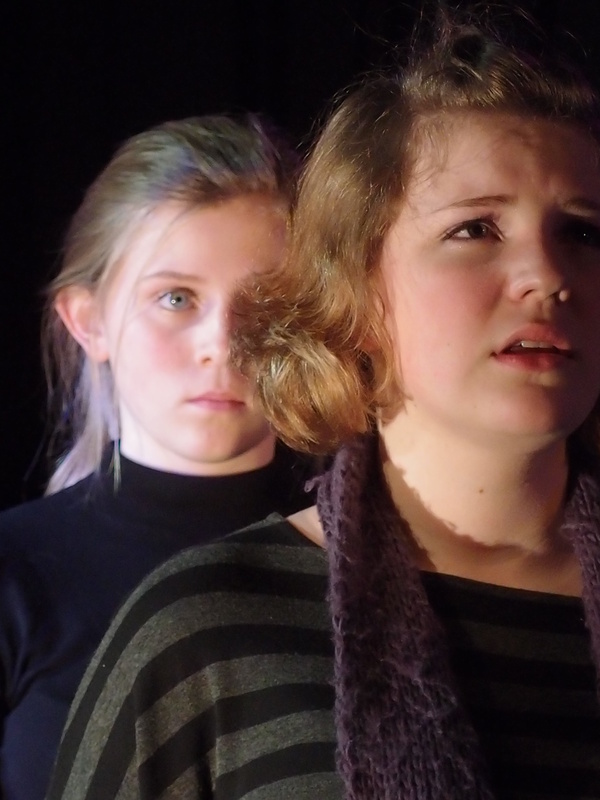 The curriculum has been carefully designed to ensure that student have a range of Drama experiences. Schemes of work are half a term long and have specific assessment foci. AO1 RESPONDING to ideas and issues in different contexts, demonstrating an appropriate use of drama to communicate meaning to others. AO2 DEVELOPING and exploring ideas using appropriate forms to structure them into meaningful pieces of drama work. AO3 EVALUATING the effectiveness of students’ own drama work and the work of others and recognising the significance of historical, cultural and /or social influences. AO4 PERFORMING ideas to others using the appropriate performing and/or production skills to communicate their intentions. Acting, singing, dancing, technical theatre, backstage, costumes, make-up, assistant director…there are lots of ways to get involved. The GCSE Drama course is largely practical and ideal for students who like working in groups, enjoy expressing themselves in an active and exciting way and want to develop their creative and critical skills. The ability to work successfully both as an individual and as part of a group using practical creative and evaluation skills, is vital in this subject. Presentation and communication skills are naturally acquired in this subject and are of course a bankable asset in today’s modern jobs’ market. GCSE Drama will provide you with an excellent foundation for GCE Drama and Theatre Studies, GCE Performing Arts, BTEC Performing Arts or a Diploma in Creative and Media. Performance is integral to this course so you must have, or be able to develop, the confidence to do this! Working in your group, you will devise an original piece of drama. You will be given a stimulus as a starting point for your work. Your devised performance must be linked to a particular practitioner or genre. Working in a group of between two and five people, you will perform an extract from a published play script. You may choose either acting or a theatre design skill. You will practically study a set text. In your exam you will need to show you can give advice to actors, directors and designers. A Live Theatre Review of a play seen during the course. You will evaluate the performance or design you produced in Unit Two. 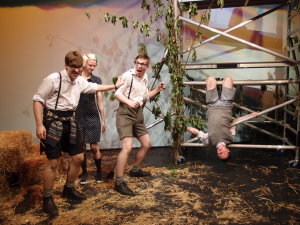 The Drama course is an exciting combination of creative activities. Students will devise drama, realise playtexts and analyse theatre. Learners will be assessed on either acting or design. 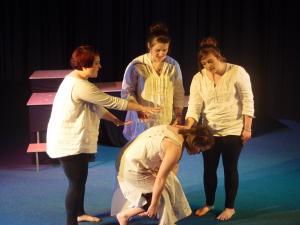 Learners participate in the creation, development and performance of a piece of theatre based on a reinterpretation of an extract from a text chosen from a list supplied by WJEC. 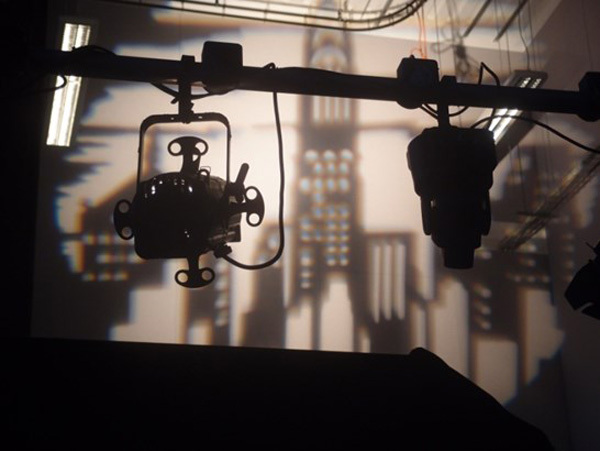 The piece must be developed using the techniques and working methods of either an influential theatre practitioner or a recognised theatre company. 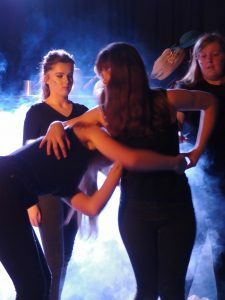 A devised piece using the techniques and working methods of either an influential theatre practitioner or a recognised theatre company (a different practitioner or company to that chosen for Component 1). An extract from a text in a contrasting style chosen by the learner. Learners must realise their performance live for the visiting examiner. Learners choosing design must also give a 5-10 minute presentation of their design to the examiner. Learners must produce a process and evaluation report within one week of completion of the practical work. Open book: Clean copies (no annotation) of the two complete texts chosen must be taken into the examination. Two questions, based on two different texts, one written pre-1956 and one written post-1956. The Curious Incident of the Dog in the Night-time, Mark Haddon, adapted by Simon Stephens. Details of the extract will be released during the first week. This is an internally assessed unit which requires students to explore two contrasting plays practically. 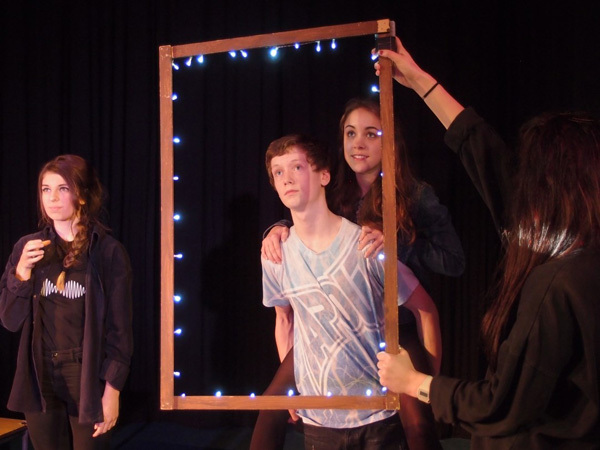 This externally assessed unit requires students to take part in a formal production of a published play. They must also perform a monologue or duologue. Exploration of drama and performance of texts. Students will research, develop and devise a piece of theatre which is internally assessed. They will also produce a written analysis of the process. This externally assessed written paper includes the study and evaluation of a live theatre performance. Devised performance and study of theatre text and history.